Backyard Night Sky in New Jersey. 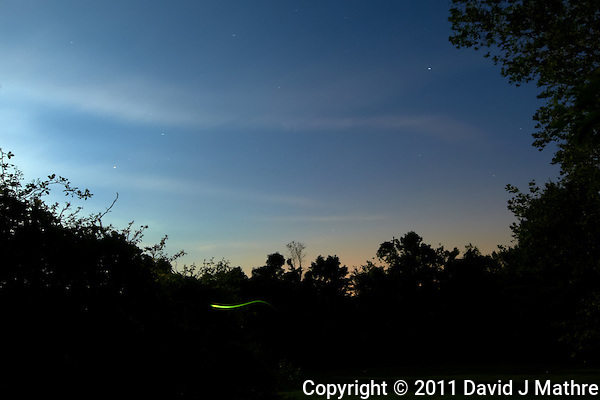 While reviewing images from last night, I found one where I captured a firefly flashing. So far it is early in the firefly season and I hope to get more images before the season ends.